"Labor Day is seen as a day of rest for many hard-working Americans." And in that spirit, I am going to keep this post short. 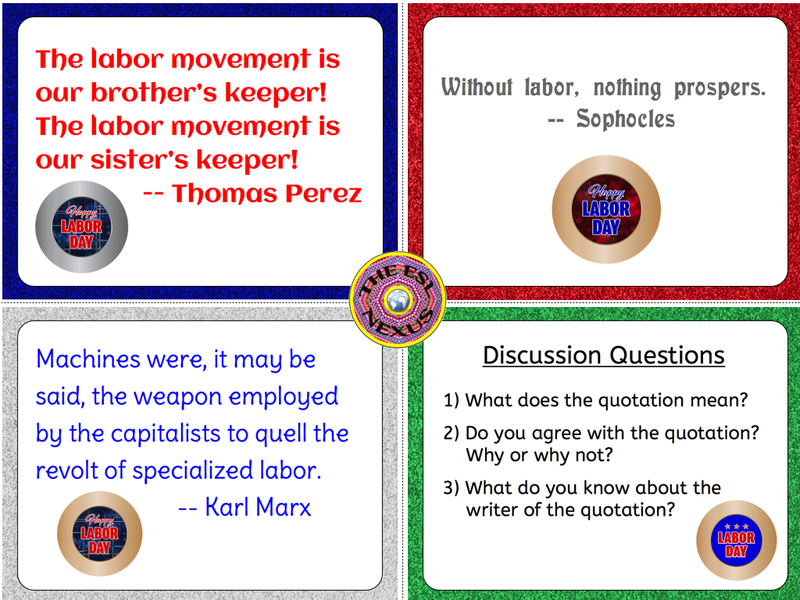 I came across some quotations about labor that were thought-provoking and it occurred to me they would make good discussion starters for students. So I created a freebie which you can download here. You’ll be asked if you want to make a copy; say yes and then you can download the resource. There are three quotations about labor, at varying levels of difficulty in terms of the vocabulary used. (Blue is easiest, red is intermediate, and silver is hardest.) There are also three discussion questions. Students, especially those in middle school, will probably not know who the authors of the quotes are so you can either tell students to skip that question or have students do a little research to find out whose people are. Each quotation is on a different page, and the discussion questions are on their own page, too. There is also one page that has all four quotes and questions on it, if you want to save paper when making photocopies. The instructions below are provided on their own page. 1) Divide the students into small groups of mixed ability. 2) Distribute the handout to each group. 3) Tell them to read the questions first, then the quotations. 4) If there are any words they don’t understand, they should ask other members of their group, look the words up in a dictionary or, lastly, ask the teacher to explain them. 5) All students should respond to the questions, taking turns in their group to do so. 6) If you wish, you can have the groups report out to the whole class about the results of their discussions. 7) As a follow up for either in-class work or homework, you could ask students to pick one of the quotations and write a paragraph about what it means to them, using the questions to help students focus their answers. 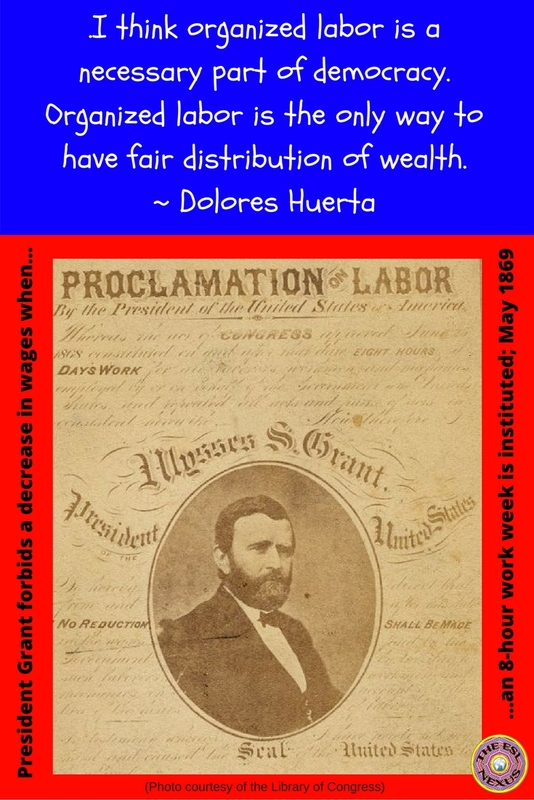 For background information about Labor Day to share with students, check out my Labor Day holiday poster in acrostic poem format.